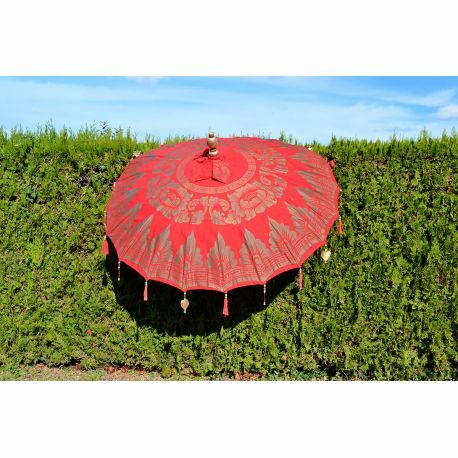 Umbrella balinese waterproof in frame and bamboo fabric decorated. 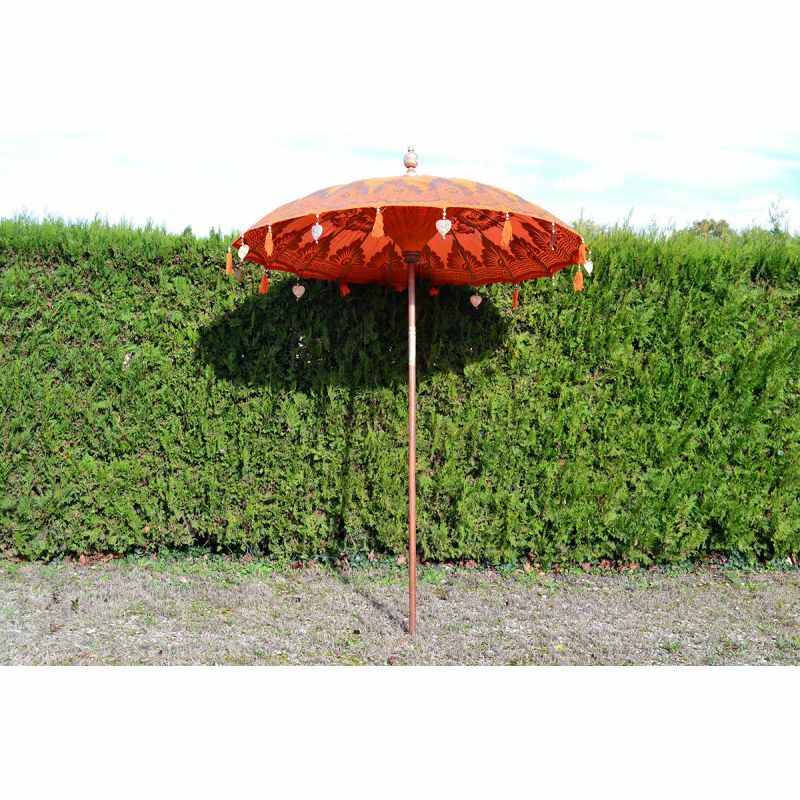 You will take a real pleasure to stay under your beach umbrella and enjoy the wonderful weaving of wire multi-color made by the artisan. 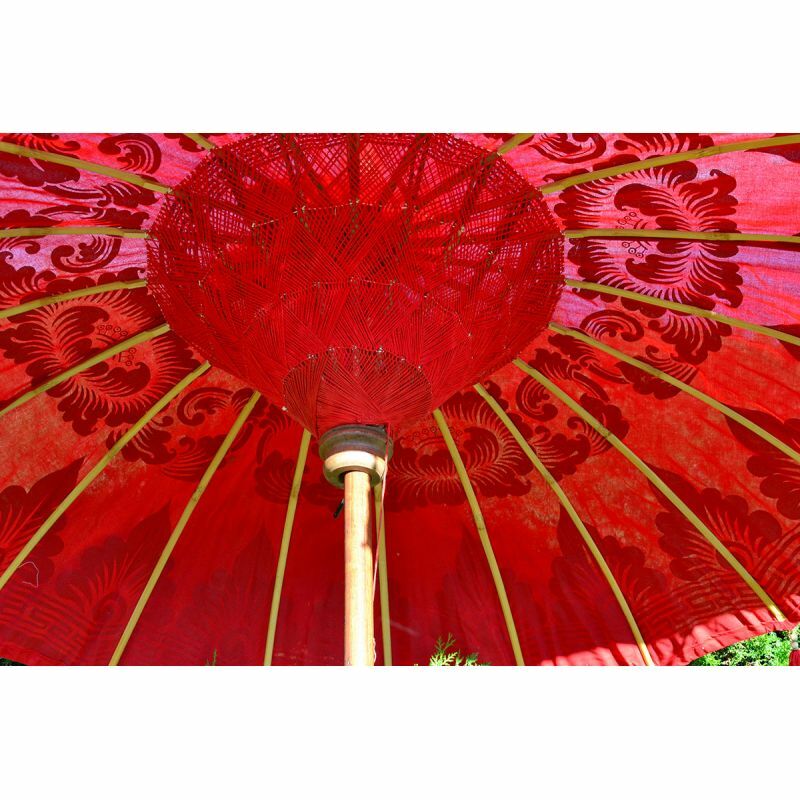 Umbrella balinese waterproof fabric and frame bamboo.